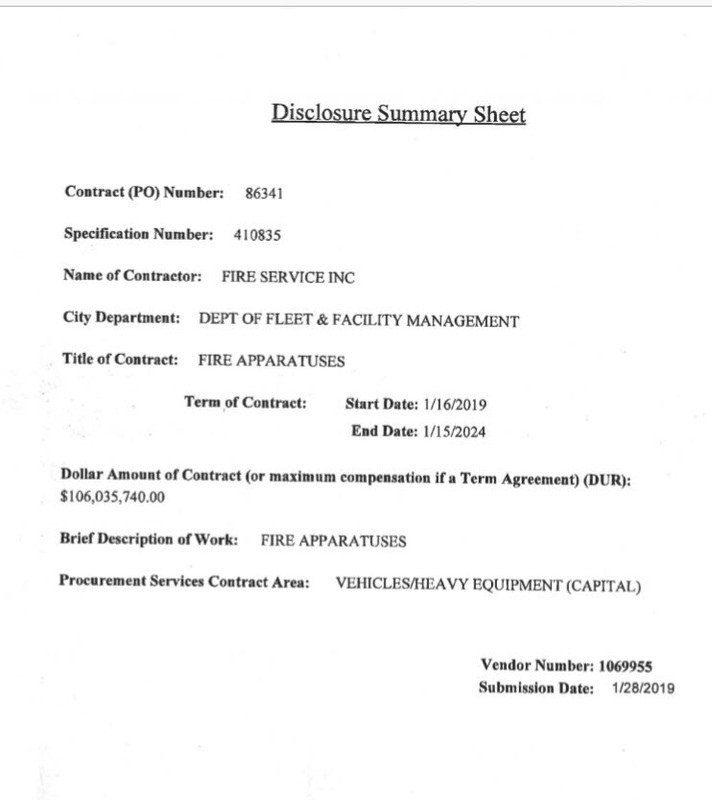 This entry was posted on February 9, 2019, 11:30 AM and is filed under Fire Department News. You can follow any responses to this entry through RSS 2.0. Both comments and pings are currently closed. So the contract is for 5 years and includes engines, trucks, and tower ladders. Have any actual orders been put in and are they ordering a specific amount of apparatus for each of the 5 years?